That's when I found Stitch Fix. It's not a typical clothing subscription: Stitch Fix isn't a clothing manufacturer, so instead of getting the latest trends from one brand, you get a curated collection from many labels. You end up paying more for this, since each piece isn't discounted (as brand-specific boxes generally art) but there's a great upside to this tradeoff: Stitch Fix hangs it's hat on being a personal stylist. So, back in May, I answered a ton of questions: specifics on sizes, kinds of clothing I currently wear, details on my lifestyle and how adventerous I was, and finally, I ranked a bunch of different clothing collections to let the stylist know what I loved and hated. I'm not going to lie: I was expecting a lot from Stitch Fix, particularly given the fact that I was on a waiting list for over two months before getting my first shipment. But Stitch Fix came through for me and every single item they sent me looked amazing on me. They were all fairly priced, too (shirts were around $50-60, pants $78, dress $168) and since I'm keeping everything, I'll get 25% off. And - I didn't only get a personal note from the stylist explaining why she picked each piece of me - I also got a handy guide to explaining what style-deficent me should pair all these items with so I don't look like a herpderp when I wear them out in the real world. The other bonus of Stitch Fix? The boxes are going to keep getting better. My next step is to give detailed feedback to the stylist on what I did and didn't like: I'll be able to tell her that while I loved the shirts, I don't want chiffon material anymore, and while the pants fit the waistband was a little loose and next time I might want an inch or two smaller in size. And next month? Things will be even more tailored for me. I could even say "hey, my birthday is next month, can I have a fancy outfit for my big night out?!" and they'd do that for me. All right, enough gabbing. If you want to try out Stitch Fix, feel free to use my referral code - I'll get loot if you do. In the meantime, check out my impromptu fashion show, complete with me making funny faces. Love the blue - kinda love the pants. Worried the waistband is a bit loose but the rest is so skinny they'll never fall down. Cream blouse - I love that they nailed the balance of casual and slightly dressy. Wasn't sure about the weird rivet detail but I love how the shirt fits. A rare maxi dress that looks good on me! A personal note and a great guide on how to wear all the pieces they sent me! 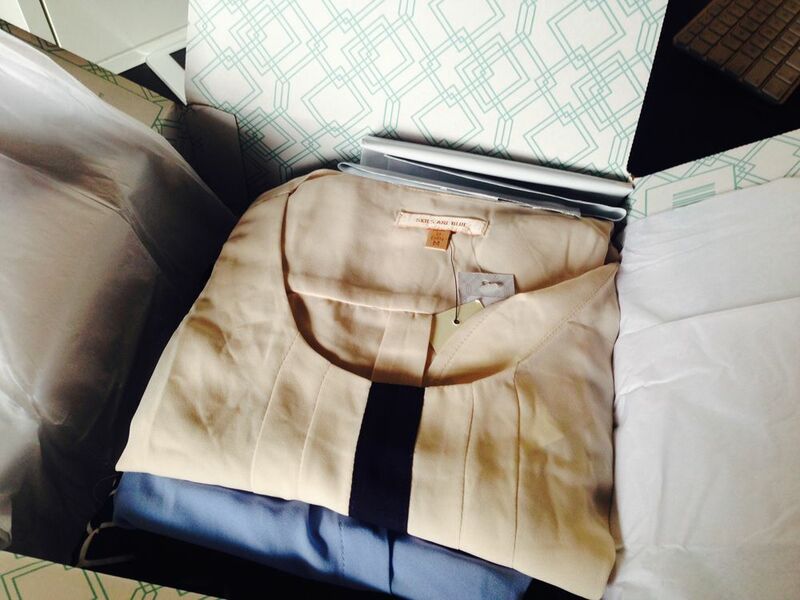 0 Comments on "elizabeth get a dose of fashion sense (aka Stitch Fix is awesome)"